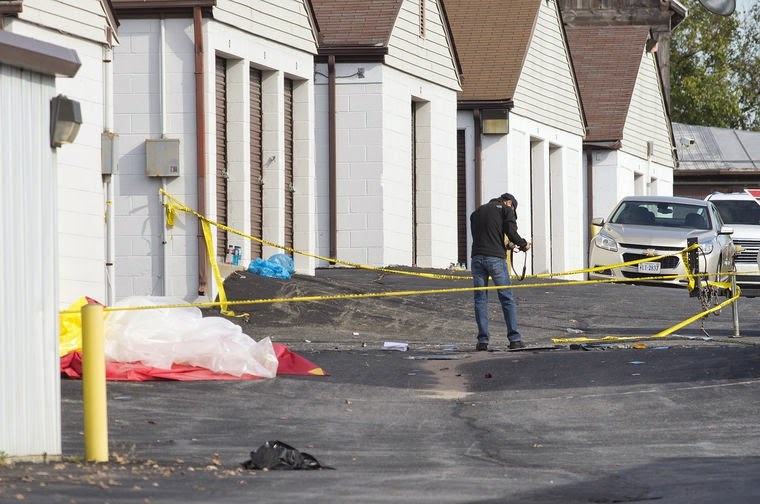 An air traffic control contractor is challenging the claim that pilots involved in a deadly midair crash over Frederick couldn’t have seen each other. In the ongoing wrongful-death trial against Midwest Air Traffic Control Services, attorney William Conroy called flight experts to the stand on Wednesday. They had created a simulation that purported to show the plane was in the helicopter’s field of view with enough time to avoid the air disaster. 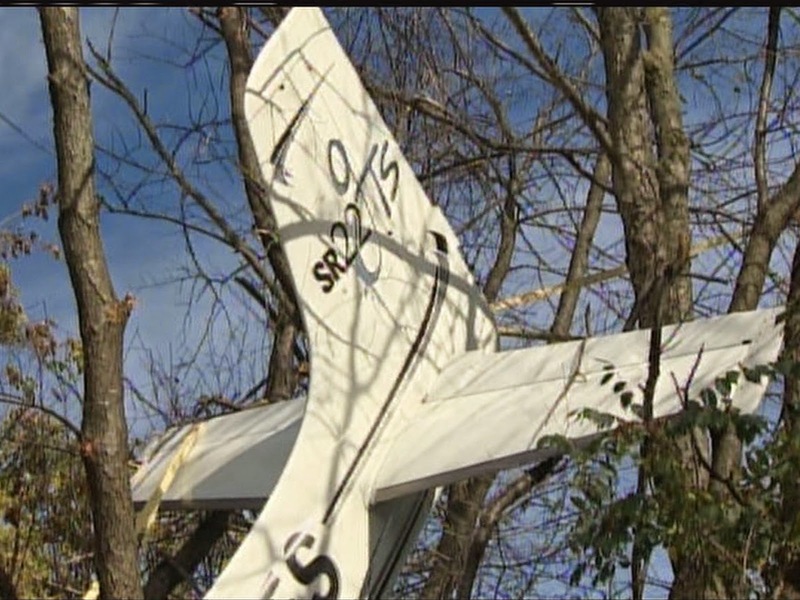 Robert Winn, of the engineering and scientific investigation firm Engineering System Inc., said he used data from the National Transportation Safety Board, the plane’s computer, radar data, radio communications and an inspection of the wreckage to reconstruct the crash. Ultimately, Winn used a virtual reality system programmed to represent the events that led to the crash. A pilot, Gerry Ventrella, then used the simulator to determine whether an experienced helicopter pilot could have avoided the crash. 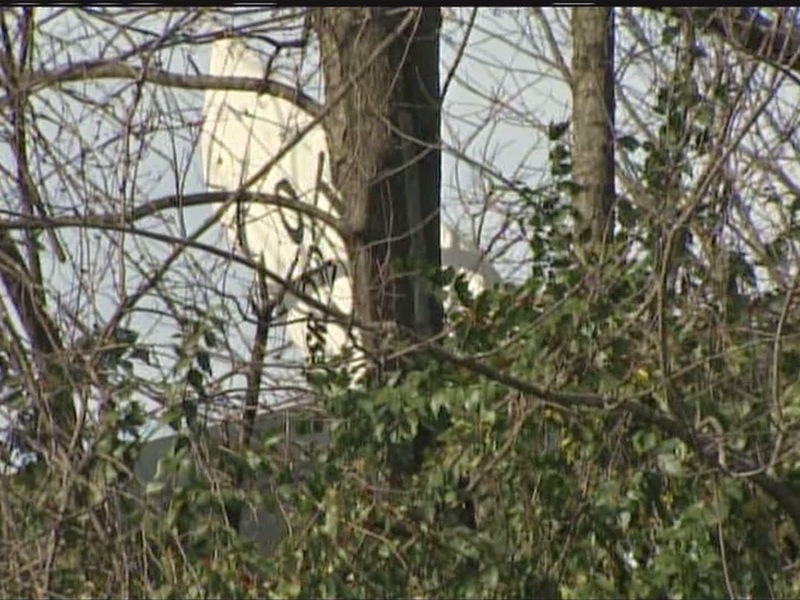 A plane was visible in the simulation shown in court Wednesday. 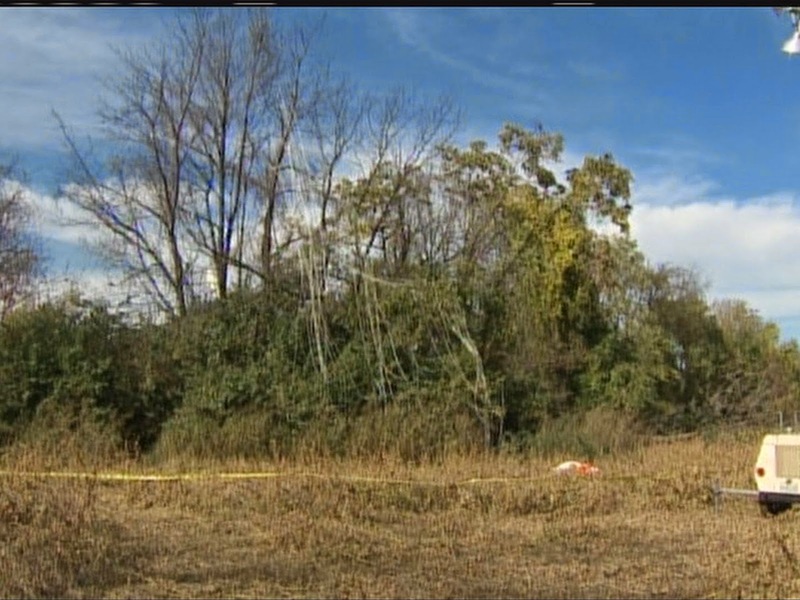 An attorney for the crash victims' families questioned the methodology behind the simulation. Bruce Lampert asked if a pilot in the real world would need to be scanning his instruments and suggested there was no way to tell where the pilot was looking at any given time. 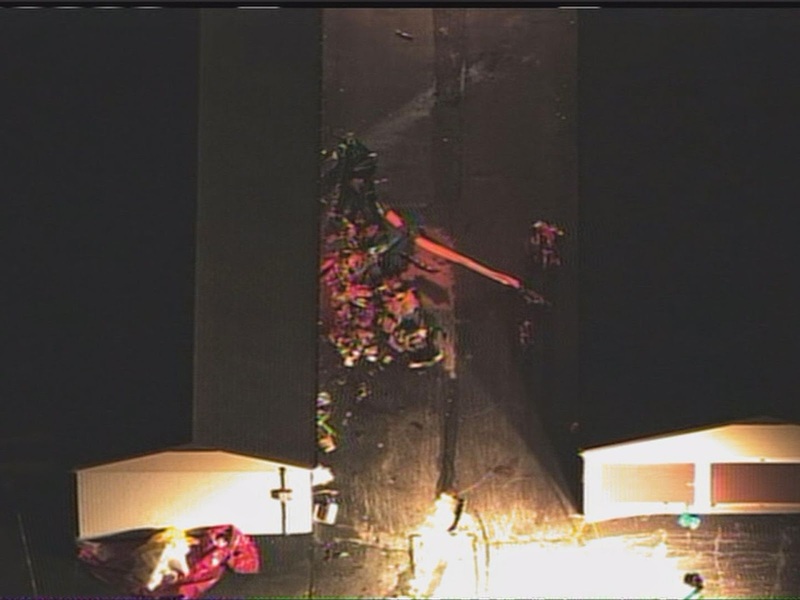 “I was depicting what was there to be seen,” Winn responded. 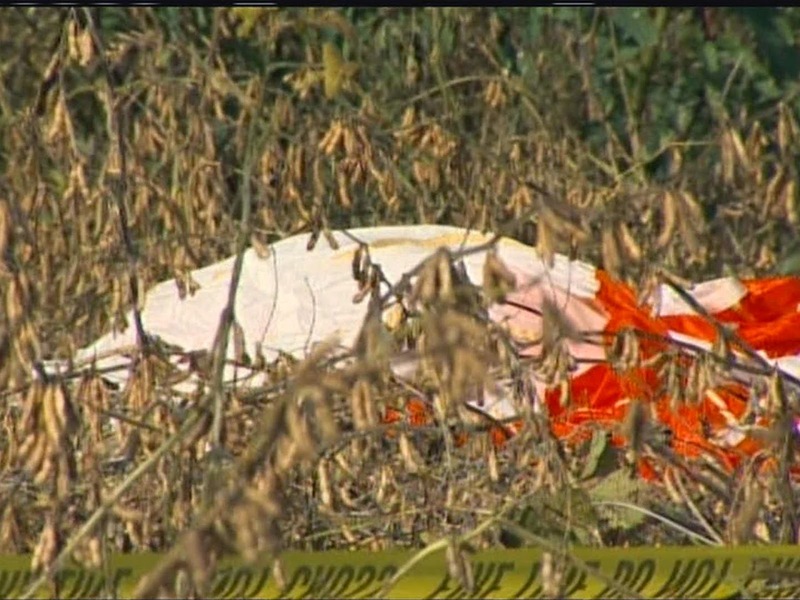 Christopher Parsons, 29, of Westminster, and William Jenkins, 47, of Morrison, Colorado, were killed on Oct. 23, 2014, when a Cirrus plane and their helicopter crashed. Parsons was an instructor. Jenkins, a licensed pilot, was training on the helicopter to rent it. Families of the men are now involved in a wrongful-death suit against Midwest Air Traffic Control Services, the contractor staffing the control tower at the airport. Breandan MacFawn, 35, of Cumberland, a passenger on the helicopter, also died in the crash, but his family is not part of the suit. One key piece of the families’ case is that Parsons and Jenkins could not have seen the plane and that it was the duty of the air traffic controller to keep the aircraft a safe distance apart. Aviation experts hired by the plaintiffs created flight simulations showing it was impossible for the men flying the helicopter to see the plane. Robert Michael, another attorney for the families of the men who died, asked Ventrella if he did the simulation alone. When Jenkins was piloting the helicopter, Parsons was seated next to him, so Michael asked if that could have affected Jenkins’ field of vision. Ventrella said he did the simulation alone, but having two people should have made the situation safer because more eyes would be on the sky. Ventrella, who was testifying for the first time as an expert witness, said that after he reviewed information related to the crash, he believed Jenkins and Parsons could have avoided the crash. “I would not say they were scanning properly, or they would have seen the airplane,” he said. He said that about two minutes before the crash, the air traffic controller mentioned over the radio that helicopters were in the traffic pattern of the airport and a plane was coming in from the west. 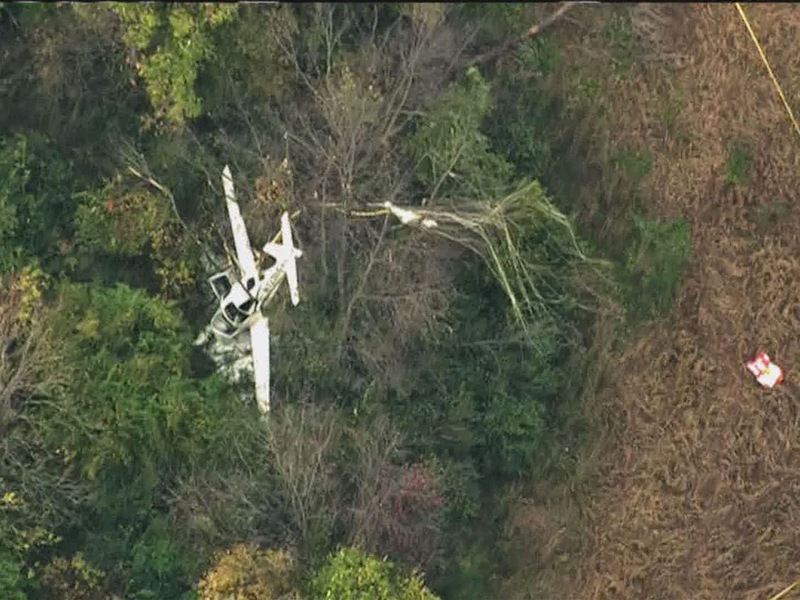 The pilots should have used that information to stay vigilant and avoid other aircraft, he said. 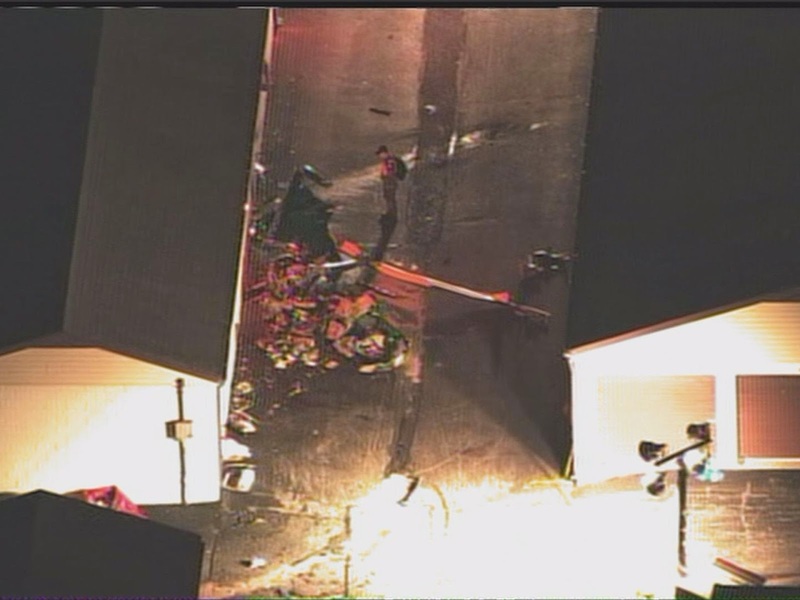 Injuries: 3 Fatal, 1 Minor, 1 Uninjured. 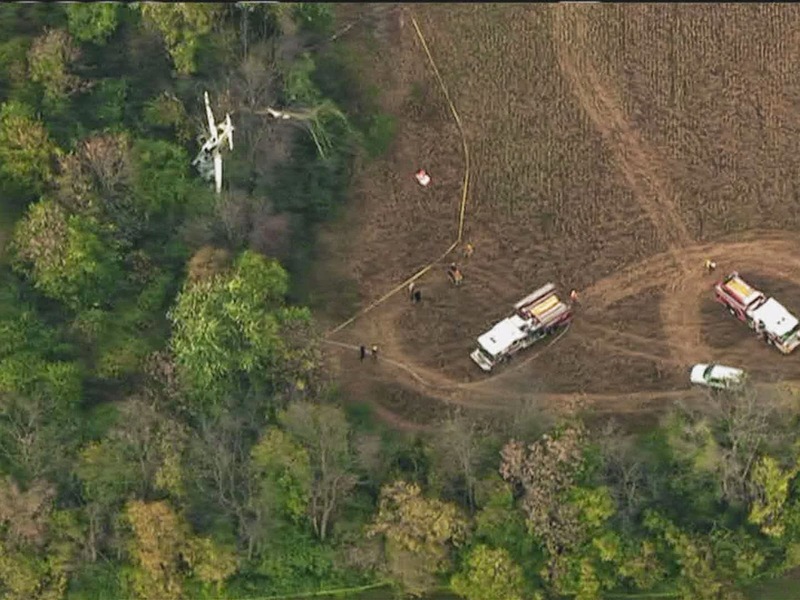 The private airplane pilot was conducting a personal cross-country flight, and the commercial helicopter pilot and flight instructor were conducting a local instructional flight. A review of radar and voice communications revealed that the accident airplane pilot first contacted the nonradar-equipped tower when the airplane was 10 miles from the airport and that the local controller (LC) then acknowledged the pilot’s transmission and instructed him to contact the tower when he was 3 miles from the airport. At this time, the LC was also handling two helicopters in the traffic pattern, one airplane conducting practice instrument approaches to a runway that intersected the runway assigned to the accident airplane, another airplane inbound from the southeast, and a business jet with its instrument flight rules (IFR) clearance on request. About 1 minute after the accident airplane pilot first contacted the LC, the LC began handling the accident helicopter and cleared it for takeoff. One minute later, the controller issued the business jet pilot an IFR clearance. When the accident airplane was 3 miles from the airport, the pilot reported the airplane’s position to the controller, but the controller missed the call because she was preoccupied with the clearance read-back from the business jet pilot. About 1 minute later, the controller instructed the accident airplane pilot to enter the left downwind leg of the traffic pattern on a 45-degree angle and issued a landing clearance. She advised that there were three helicopters “below” the airplane in the traffic pattern, and the pilot replied that he had two of the helicopters in sight. Data downloaded from the airplane and witnesses on the ground and in the air indicated that, as the airplane entered the downwind leg of the traffic pattern, it flew through the accident helicopter’s rotor system at the approximate point where the helicopter would have turned left from the crosswind to the downwind leg. Because of a specific advisory transmitted on the tower radio frequency advising of traffic on the downwind, the pilot of each accident aircraft was or should have been aware of the other. A witness in the helicopter directly behind the accident helicopter had a similar field of view as the accident helicopter, and he reported that he acquired both accident aircraft in his scan before the collision. 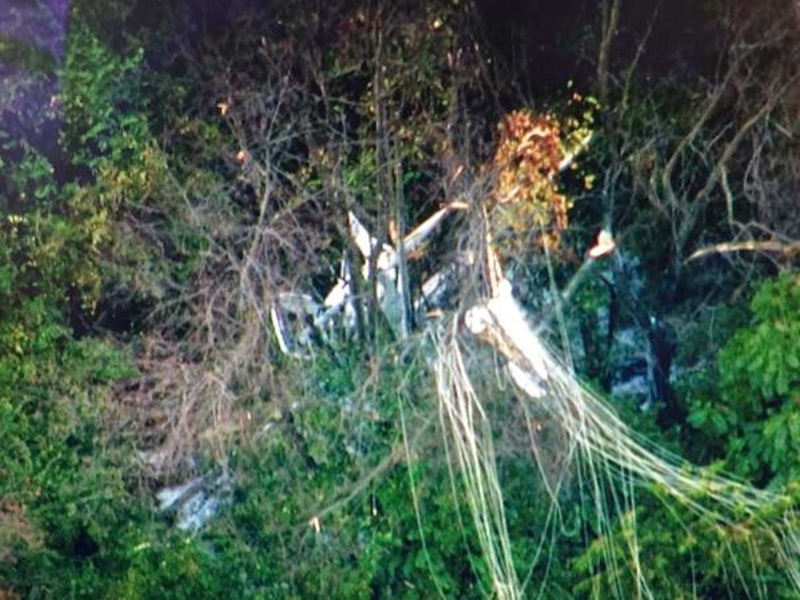 Given this statement and that the accident helicopter had two commercial pilots in the cockpit, the pilots should have had the situational awareness to understand the conflict potential based on the airplane’s position reports. Although the airplane was equipped with a traffic advisory system, its capabilities could have been limited by antenna/airframe obstruction or an inhibition of the audio alert by the airplane’s flap position. The airplane’s data indicated that the collision occurred at an altitude of about 1,100 ft mean sea level (msl). The published traffic pattern altitude (TPA) for light airplanes was 1,300 ft msl. Although several different helicopter TPAs were depicted in locally produced pamphlets and posters and reportedly discussed at various airport meetings, there was no published TPA for helicopters in the airport/facility directory or in the tower’s standard operating procedures. 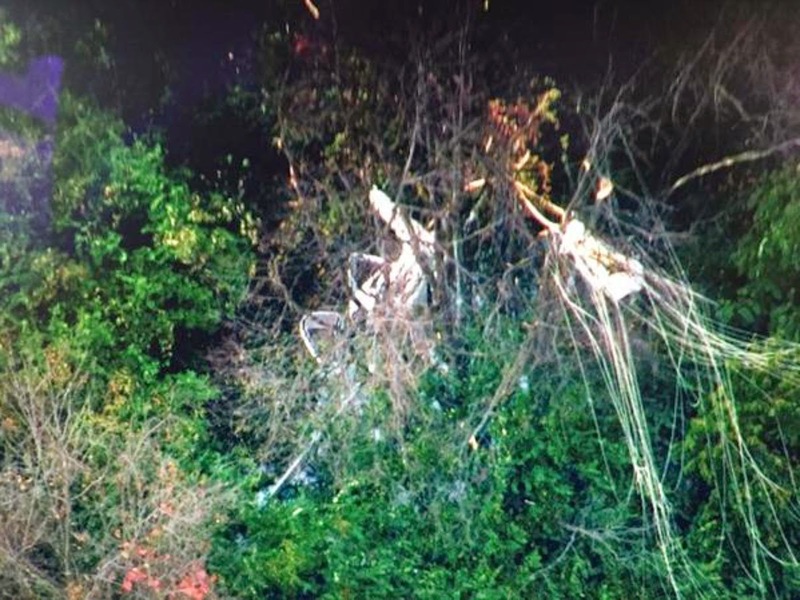 According to the Federal Aviation Administration’s Aeronautical Information Manual, in the absence of a published TPA, the TPA for helicopters was 500 ft above ground level; therefore, the appropriate TPA for helicopters at the accident airport was about 800 ft msl. The lack of an official helicopter TPA, which was published after the accident, significantly reduced the potential for positive traffic conflict resolution. Review of the airport procedures, tower capabilities, and the controller’s actions revealed no specific departure from proper procedures. Because the tower was not equipped with radar equipment, all of the sequencing and obtaining of traffic information had to be done visually. This would have been especially difficult at the accident airport due to the local terrain and tree lines that extend above the pattern altitudes from the tower controllers’ view, which can cause aircraft to easily blend in with the background. Further, the controller spent a lengthy amount of time on the task of issuing the IFR clearance to the business jet while handling multiple aircraft in the traffic pattern. It is likely that the lack of radar equipment in the tower and the controller’s inadequate task management also significantly reduced the potential for positive traffic conflict resolution. The failure of the helicopter pilots and the airplane pilot to maintain an adequate visual lookout for known traffic in the traffic pattern, which resulted in a midair collision. Contributing to the accident were the airplane pilot's descent below the published airplane traffic pattern altitude (TPA) and the helicopter pilot’s climb above the proper helicopter TPA as prescribed in the Federal Aviation Administration's Aeronautical Information Manual for airports without published helicopter TPAs. 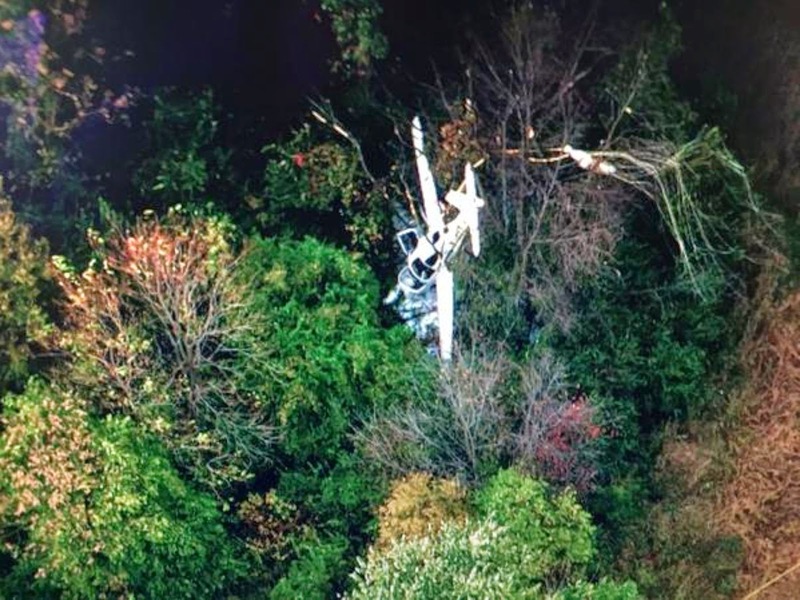 Also contributing to the accident were the lack of a published helicopter TPA, the absence of radar equipment in the tower, and the controller’s inadequate task prioritization. 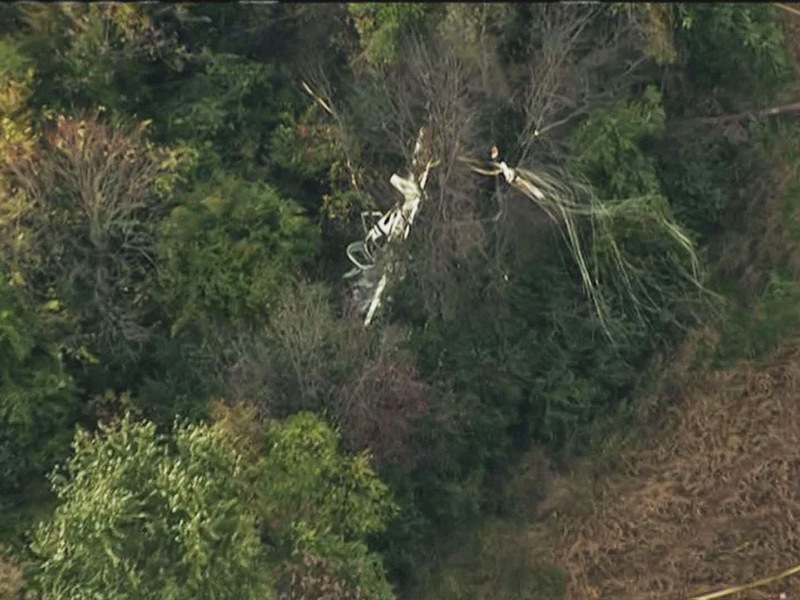 On October 23, 2014, about 1537 eastern daylight time, a Cirrus SR22 airplane, N122ES, operated by a private individual, and a Robinson R44 II helicopter, N7518Q, operated by Advanced Helicopter Concepts, collided in midair approximately 1 mile southwest of the Frederick Municipal Airport (FDK), Frederick, Maryland. 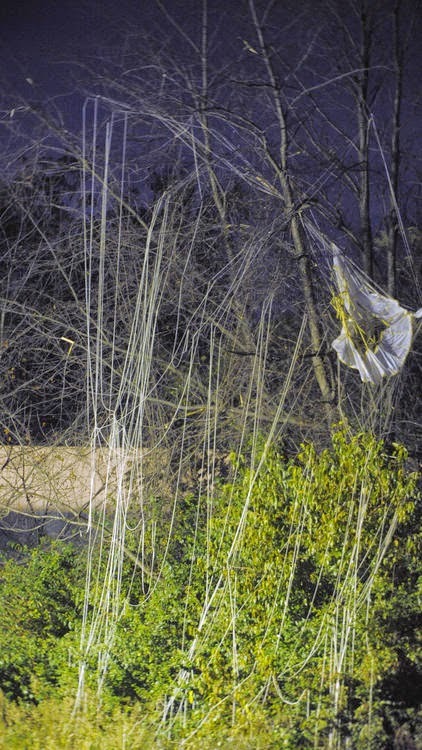 The airplane departed controlled flight after the collision, the ballistic parachute system was deployed, and the airplane landed nose-down in a thicket of low trees and brush. 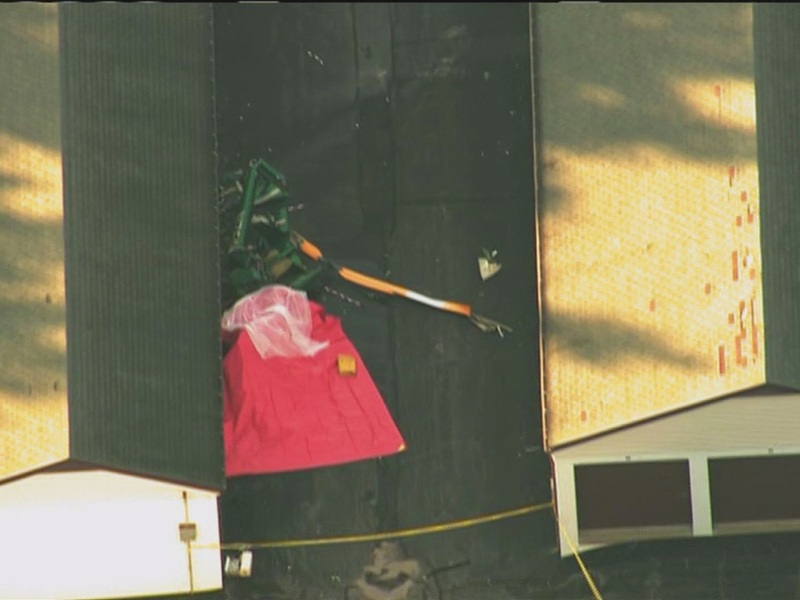 The helicopter also departed controlled flight, descended vertically, and was destroyed by impact forces at ground contact. 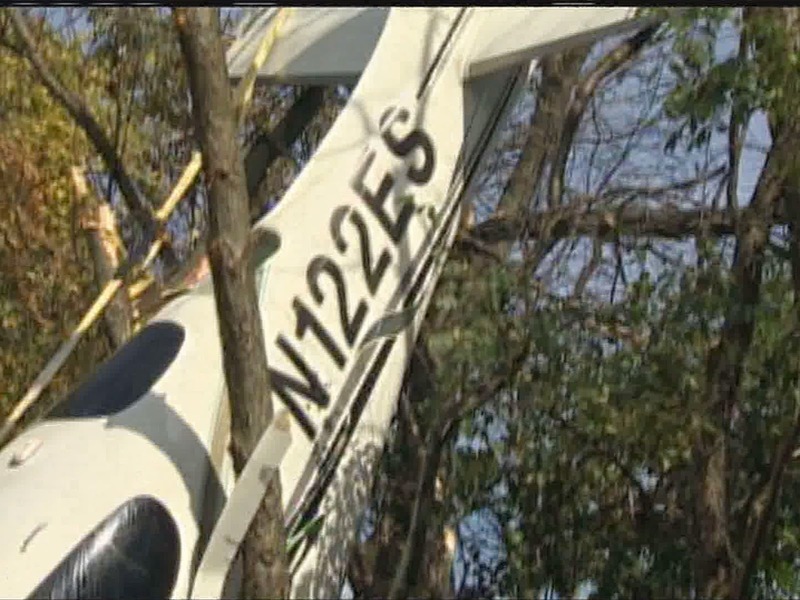 The private pilot on board the airplane was not injured, and his passenger sustained a minor injury. 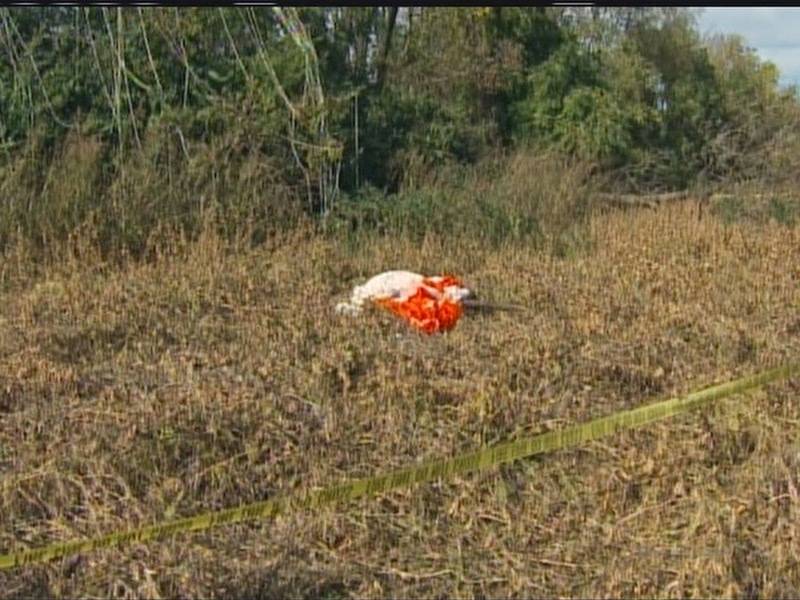 The flight instructor, commercial pilot, and a passenger in the helicopter were fatally injured. Visual meteorological conditions prevailed, and an instrument flight rules (IFR) flight plan was filed for the airplane, which departed Cleveland, Tennessee, on a personal flight about 1247. No flight plan was filed for the helicopter, which departed FDK on an instructional flight about 1535. The flights were conducted under the provisions of Title 14 Code of Federal Regulations (CFR) Part 91. 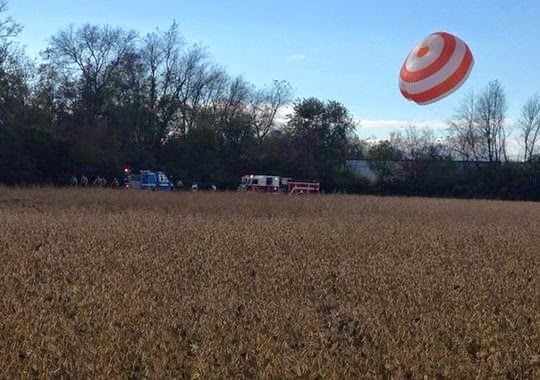 Witnesses on the ground watched the aircraft approach each other at the same altitude and saw the collision. 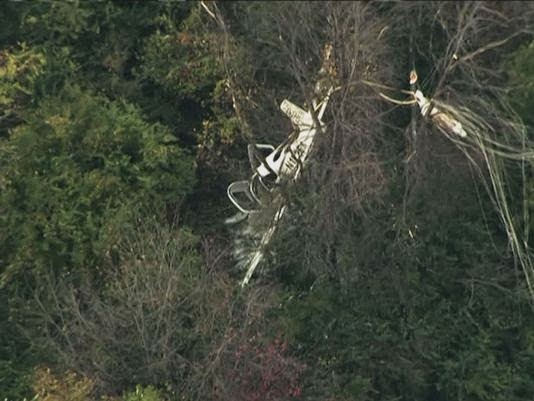 One witness said the helicopter appeared to be in a stationary hover as the airplane closed on it and the two collided. She said neither aircraft changed altitude as they approached each other. A flight instructor for the helicopter operator in a company Robinson R22 helicopter followed the accident helicopter in the traffic pattern for landing abeam runway 30 in the infield sod at FDK. He said his helicopter had just completed the turn onto the crosswind leg of the traffic pattern when the accident helicopter came into his view to his front at about the point where it would turn to the downwind leg of the pattern. 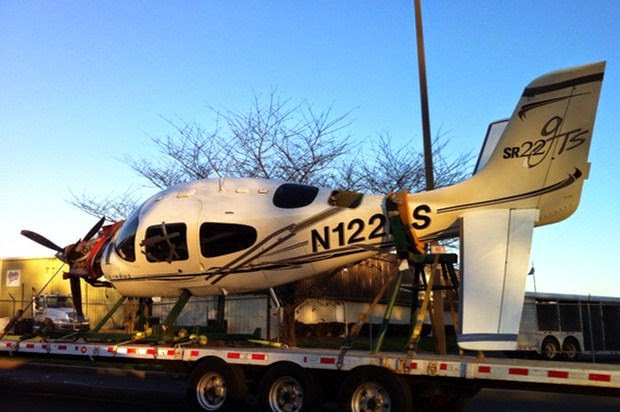 At the same time, the airplane appeared in his field of view as it "flew through the rotor system" of the helicopter. 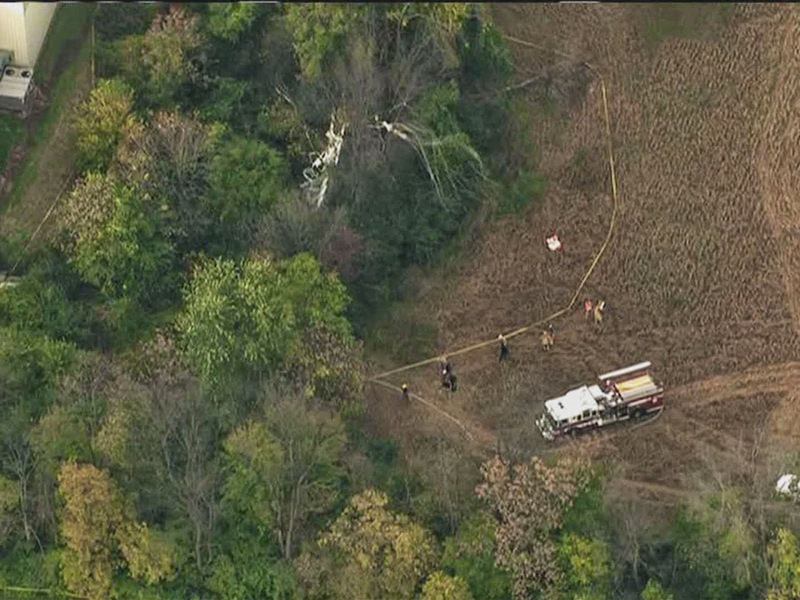 At 1534:10, the accident airplane first contacted the FDK tower and was about 10 miles west of the field at 3,000 feet. The local controller (LC) acknowledged the pilot's transmission and instructed him to report 3 miles west for a left downwind to runway 30. At 1534:31, the pilot of the accident airplane acknowledged and read back the controller's instructions. At the time the accident airplane contacted the LC, other traffic being handled by the tower included two helicopters ( two company helicopters N2342U and N444PH) in the VFR traffic pattern, one airplane conducting practice instrument approaches to runway 23, another airplane inbound from the southeast, and a business jet (N612JD) with its IFR clearance on request. At 1535:02, the LC then cleared the accident helicopter for take-off from alpha taxiway as requested and issued the current winds, and the call was acknowledged. At 1536:02, the LC contacted the pilot of N612JD and advised she was ready to issue the airplane's instrument clearance. From 1536:06 to 1536:49 (43 seconds), the controller issued the clearance. At 1536:49, the pilot of N612JD read back his clearance as required. Also at 1536:49, during the read back from N612JD, the pilot of the accident airplane reported on local frequency that he was 3 miles out on a 45-degree entry for runway 30, which the LC did not hear because she was listening to the read back from N612JD on ground control frequency. At 1537:09, the LC transmitted to helicopter N444PH, "…four papa hotel option to the grass at your own risk use caution and on uh next go around stay at a thousand feet. I have traffic in the downwind." At 1537:22, the LC instructed the accident airplane to report midfield left downwind for runway 30 and said "I have three helicopters below ya in the uh traffic pattern". At 1537:30, the pilot of the accident airplane acknowledged the request to report midfield downwind and stated he had two of the helicopters in sight. Immediately after that transmission, at 1537:34, the LC said "Alright uh two echo sierra, I have ya in sight runway three zero, maintain your altitude to…until turning base, cleared to land." At 1537:41, cries were heard over the local frequency, and, at 1537:49, the pilot of a helicopter in the traffic pattern reported that an airplane and helicopter were both "down." 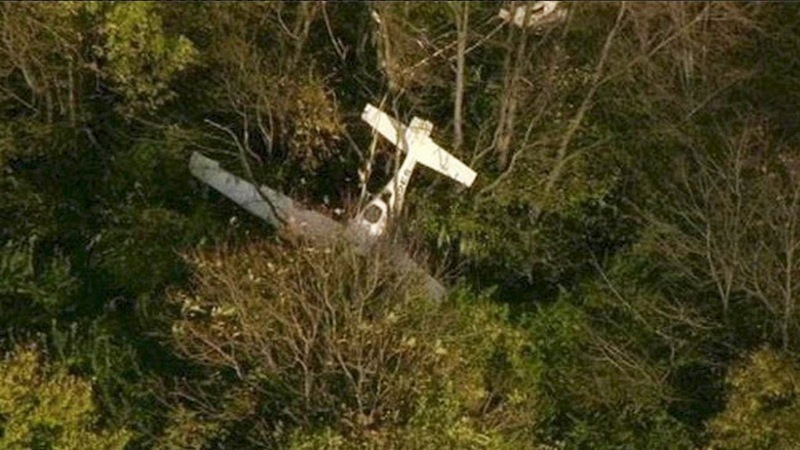 The pilot of the accident airplane was interviewed and provided written statements. His recollection of the flight was consistent with voice, radar, and aircraft data. The pilot stated that as he descended and slowed for the traffic pattern entry, he set the flaps to 50 percent. The pilot stated that, about the time the airplane entered the downwind leg of the traffic pattern, the tower controller issued a landing clearance, and, "out of nowhere…I saw a helicopter below me and to the left…" The pilot initiated an evasive maneuver, but he "heard a thump," and the airplane rolled right and nosed down. 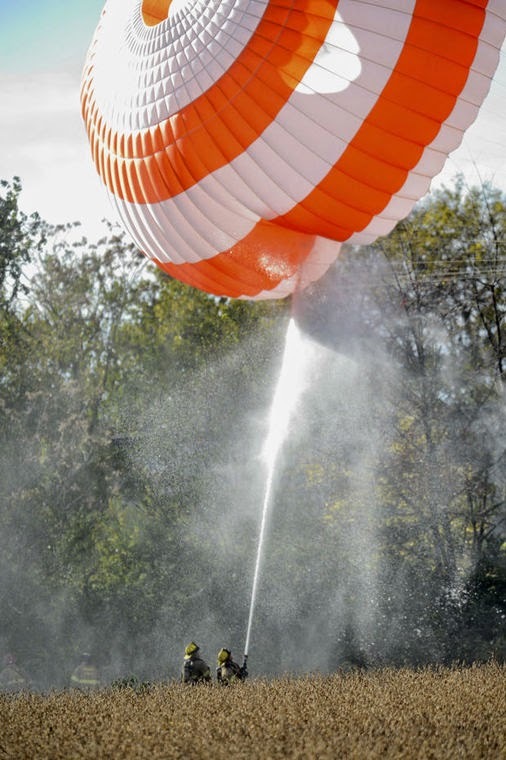 The pilot deployed the ballistic recovery system, and the airplane's descent was controlled by the parachute to ground contact. The airplane pilot held a private pilot certificate with ratings for airplane single-engine land and instrument airplane. His most recent FAA second-class medical certificate was issued April 31, 2014. He reported 959 total hours of flight experience, of which 804 hours were in the accident airplane make and model. The flight instructor on board the helicopter held commercial pilot and flight instructor certificates with ratings for rotorcraft-helicopter and instrument helicopter. His most recent FAA second-class medical certificate was issued April 31, 2014. Examination of his logbook revealed 832 total hours of flight experience, of which 116 hours were in the accident helicopter make and model. The helicopter pilot held commercial pilot and flight instructor certificates with ratings for airplane single-engine land, multiengine land, rotorcraft-helicopter and instrument helicopter. His most recent FAA second-class medical certificate was issued April 29, 2013, and he reported 2,850 total hours of flight experience on that date. Excerpts of a pilot logbook for his helicopter time revealed 1,538 total hours of helicopter experience. A review of records revealed that he stopped flying as a helicopter tour pilot in 1994. During the years following, he logged five or fewer helicopter flights per year. Between 2004 and 2011, he logged one flight per year, none in 2011, and one in 2012. In 2014, he logged two flights in September, and two in October prior to the accident flight. 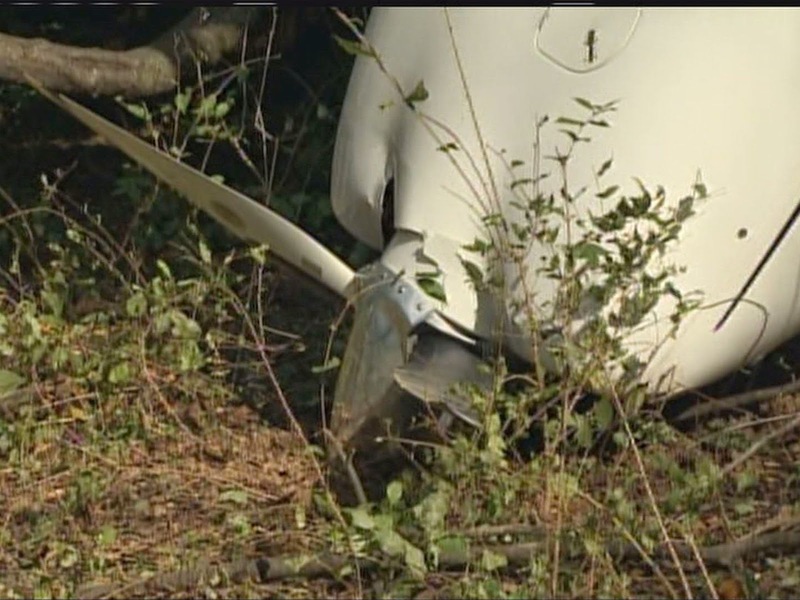 According to FAA records, the airplane was manufactured in 2006. Its most recent annual inspection was completed June 13, 2014, at 1,289.8 total aircraft hours. The helicopter was manufactured in 2004. Its most recent 100-hour inspection was completed October 2, 2014, at 1,758 total aircraft hours. The 1553 weather observation at FDK included scattered clouds at 4,800 feet, 10 miles visibility, and wind from 330 degrees at 16 knots gusting to 21 knots. The was 26 degrees above the horizon, and the sun angle was from 225 degrees. The air traffic control (ATC) group was formed on October 23, 2014. The group consisted of the group chairman from operational factors and a representative from the FAA compliance services group. The group reviewed radar data provided by the FAA from Potomac TRACON (PCT), ATC voice recordings, controller training and qualification records, facility logs, standard operating procedures (SOP), letters of agreement (LOA), controller work schedules, and other related documentation. Additionally, the group conducted interviews with the LC who provided services at the time of the accident and the off-duty controller who witnessed the accident and assisted with initial notifications and the after-action response. 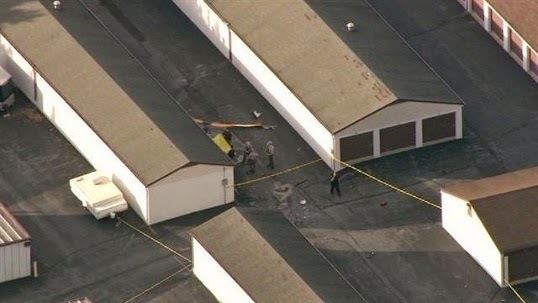 Tenant operators on the airport were interviewed, including the operator of the accident helicopter. The group also held discussions with the air traffic manager (ATM) at FDK. When asked what the traffic pattern altitudes (TPAs) were at FDK, both controllers, as well as the ATM, stated that the altitudes were 900 feet mean sea level (msl) for helicopters, 1,300 feet msl for small fixed-wing airplanes, and 1,800 feet msl for large fixed-wing airplanes and twins. When asked the origin of these TPAs and where they were published, the LC stated that they were published in the SOP and airport/facility directory (AFD). The witnessing controller thought the helicopter TPA was published in the local noise abatement procedures, but not in the AFD, but that the fixed-wing TPAs were in both. The ATM stated that only the fixed-wing TPAs were published in the AFD and that the helicopter TPA had been inadvertently left out without them realizing. The ATM stated that helicopter TPA was agreed upon during meetings with tower personnel, airport management, and airport tenants prior to the tower's commissioning. The facility was unable to produce any documentation that these meetings were ever held, and they were also unable to produce any documentation of the 900-foot msl helicopter TPA they had mentioned. 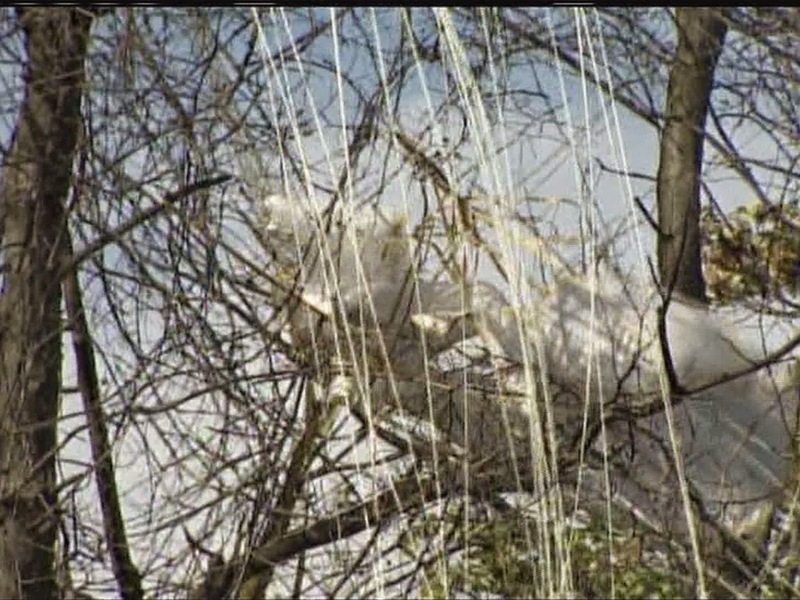 The only documentation that was found was from old, locally produced noise abatement procedures. According to FAA Order 7210.3Y, minutes of the meeting were to be taken and distributed to "the appropriate Service Area" office and to each attendee. These minutes were neither recorded nor distributed. In an interview, the helicopter operator was asked for a copy of his flight school's SOP. He stated there was none. The policies and procedures were made by him, and distributed by word of mouth in periodic meetings. During an initial discussion, the operator stated that the helicopter TPA was between 900 and 1,000 feet msl, and 1,200 feet msl for autorotations. When asked how he decided upon the TPA of 900 feet msl for his pilots and students. He said, "It just kind of morphed into that. The airplanes are at 1,300 feet msl, and we thought we should be below that. They never published that in the AFD, and I wish they would." According to the chief pilot for the helicopter operator, a 14 CFR Part 141 application would soon be submitted and an SOP would be published concurrent with the application. FDK was at an elevation of 306 feet and was tower controlled. The tower was an FAA contract tower and was not radar-equipped. Runway 5/23 was 5,219 feet long and 100 feet wide, and was located along the east side of the field. Runway 12/30 was 3,600 feet long, 75 feet wide, and located on the north side of the field. The two runways intersected at the approach end of runways 23 and 30. The published TPA in the AFD for single-engine and light-twin airplanes was 1,300 feet msl, and 1,800 feet msl for heavy multiengine and jet airplanes. The traffic pattern was a standard left-hand pattern. 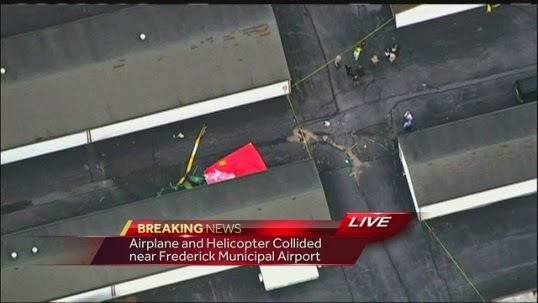 There was no published traffic pattern or TPA for helicopters in the AFD at the time of the accident. According to the FAA's Aeronautical Information Manual (AIM), in the absence of a published TPA for helicopters, the helicopter TPA was 500 feet agl, or about 800 feet msl at FDK. A pamphlet produced by the City of Frederick, Maryland, depicted the airport traffic patterns and identified the helicopter TPA as 1,100 feet msl. A poster of the pamphlet's depiction was posted around the airport, and it also identified the helicopter TPA as 1,100 feet msl. The SOP for the contract operator of the tower had no TPAs published. However, when interviewed, the LC on duty at the time of the accident stated the TPA for helicopters was 900 feet per the SOP. As a result of the investigation, the AFD was updated on January 8, 2015, with a recommended TPA for helicopters of 1,106 ft msl/800 feet agl. Radar data for the flights was obtained by the FAA from several radar sites in the area surrounding FDK. Radar data recorded the flight track of the accident airplane until seconds before the accident; however, no data were recorded for the accident helicopter. 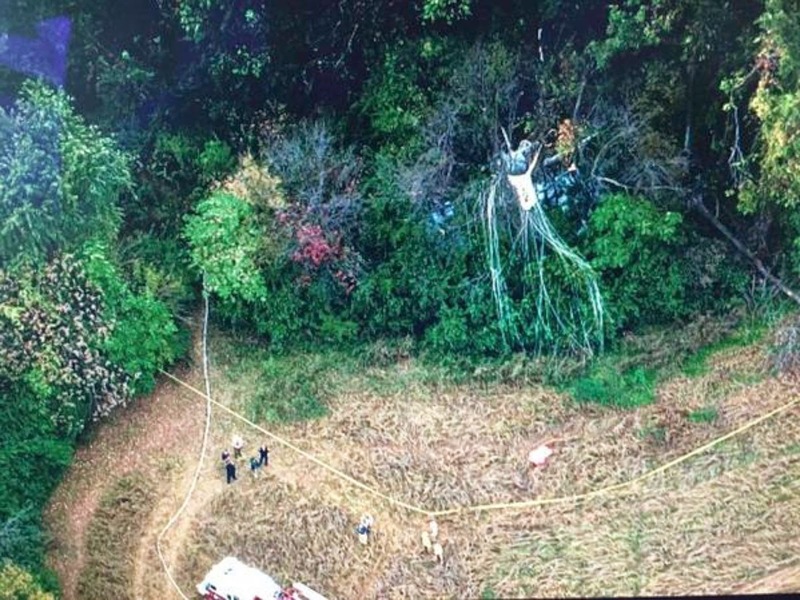 At the time of the accident, the floor of the Potomac TRACON radar coverage in the area surrounding FDK appeared to be about 1,200 feet msl. The helicopter never climbed into radar coverage, and the collision between the helicopter and the airplane occurred below the area of radar coverage. 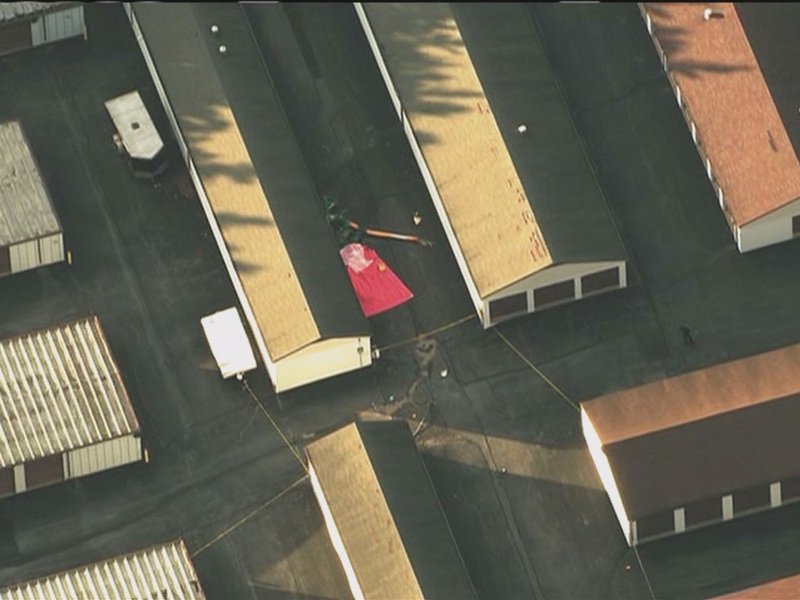 The helicopter wreckage and its associated debris came to rest in a self-storage complex between two buildings, with parts and debris scattered in and around the complex. All major components were accounted for at the scene. The main wreckage came to rest largely upright, and the cockpit, cabin area, fuselage, tailboom, engine, transmission, with main and tail rotors attached. All components were significantly damaged and deformed by impact forces. 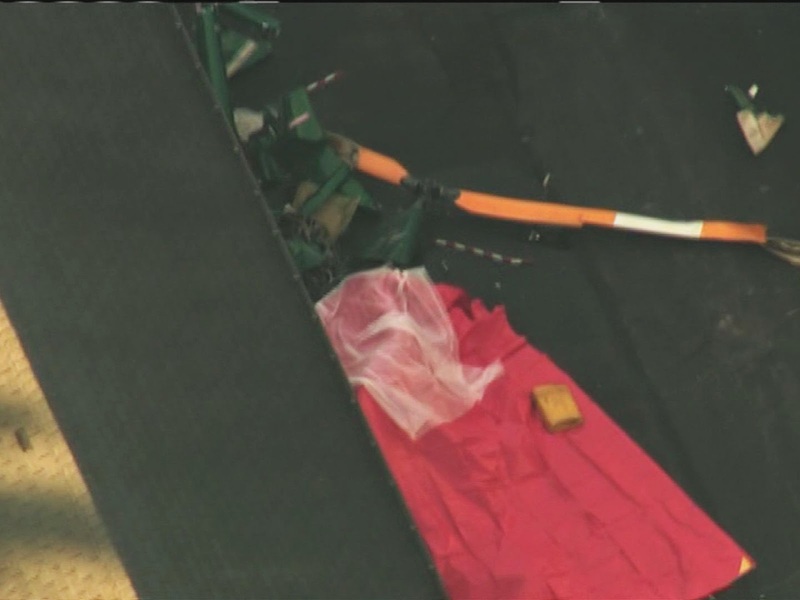 The "blue" main rotor blade was fractured near its root, and the outboard 11 feet of main rotor spar was located 50 feet from the main wreckage with no honeycomb or blade skin afterbody material attached. Control continuity could not be established due to numerous fractures in the system, but all fractures exhibited features consistent with overload. 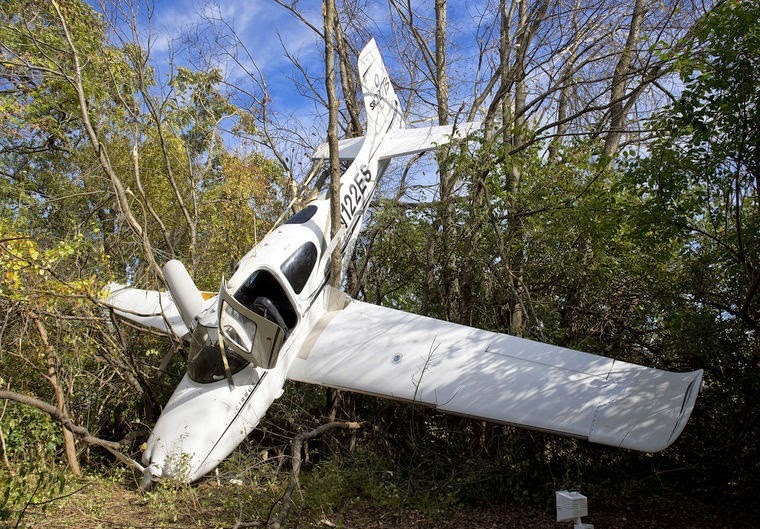 The airplane came to rest nose down, in a dense thicket of brush and low trees, wedged between tree trunks, and held in that position. 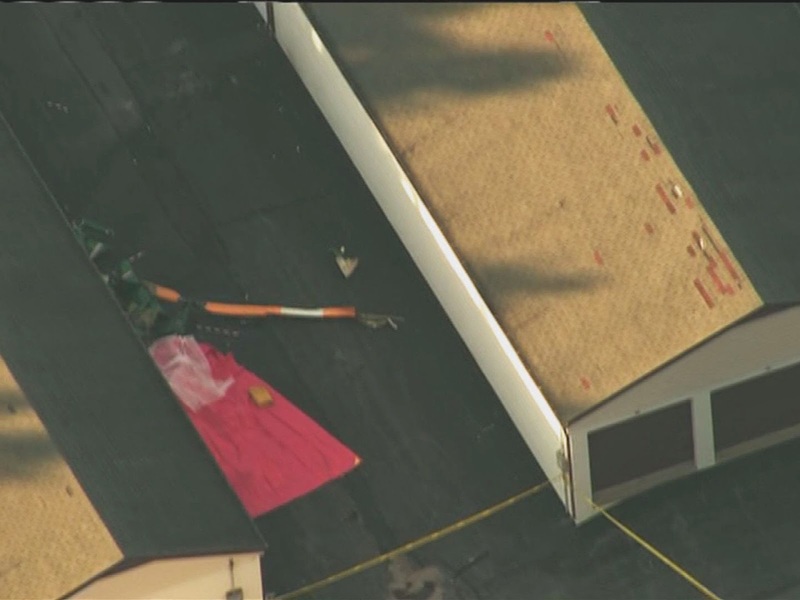 All major components were accounted for at the scene, except for the right wing flap, aileron, and right landing gear wheel and tire assembly which were located between the helicopter and airplane sites. 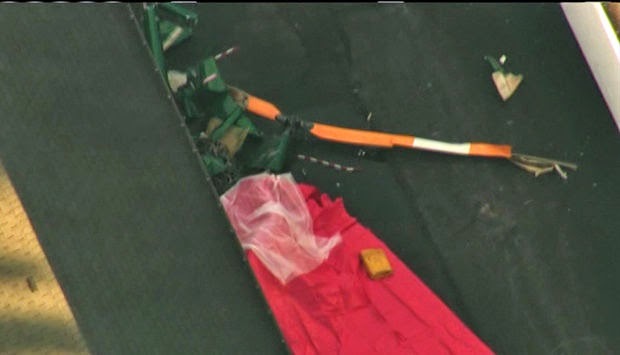 Examination of the airplane revealed that the trailing edge of the right wing was impact-damaged, and that the flap and aileron hinges were significantly damaged and twisted, and the surrounding sheet metal displayed "saw-tooth" fractures, consistent with overload. The structural cable between the wing strut and the empennage was still attached at each end, but missing a 5-foot section in the middle. The two severed ends displayed features consistent with overload. The empennage displayed a vertical opening and parallel slash marks. Examination of the cockpit revealed the flap switch handle was in the "50 percent" position; however, the flaps and the flap actuator were positioned consistent with a flaps-up position. Because power was applied to all systems throughout the flight and after ground contact, the flap position could not be determined prior to the collision. 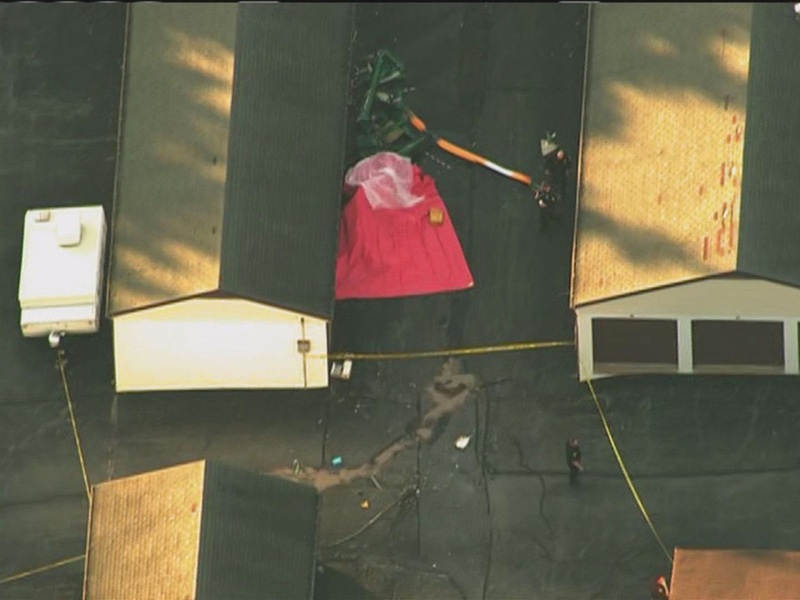 The Office the Chief Medical Examiner for the State of Maryland performed autopsies on the helicopter flight instructor and helicopter pilot. 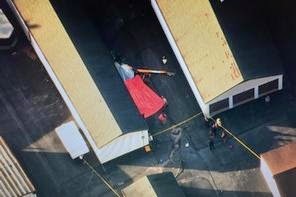 The autopsy reports listed the cause of death for each as "blunt impact injuries." The FAA's Bioaeronautical Sciences Research Laboratory, Oklahoma City, Oklahoma, performed toxicological testing of the helicopter flight instructor and helicopter pilot. The tests for each were negative for the presence of carbon monoxide, cyanide, and ethanol. The PFD unit from the accident airplane included a solid state Air Data and Attitude Heading Reference System (ADAHRS) and displayed aircraft parameter data including altitude, airspeed, attitude, vertical speed, and heading. The PFD unit had external pitot/static inputs for altitude, airspeed, and vertical speed information. Each PFD contained two flash memory devices mounted on a riser card. The flash memory stored information the PFD unit used to generate the various PFD displays. Additionally, the PFD had a data logging function, which was used by the manufacturer for maintenance and diagnostics. Maintenance and diagnostic information recording consisted of system information, event data and flight data. The PFD sampled and stored several data streams in a sequential fashion; when the recording limit of the PFD was reached, the oldest record was dropped and a new record was added. Data from the Attitude/Heading Reference System (AHRS) was recorded at a rate of 5 Hz. Air data information such as pressure altitude, indicated airspeed, and vertical speed was recorded at 1 Hz. GPS and navigation display and setting data were recorded at a rate of 0.25 Hz, and information about pilot settings of heading, altitude, and vertical speed references were recorded when changes were made. According to the data, at 15:34:30, about 9 miles from the airport, the airplane initiated a descent out of 3,000 feet msl. The descent rate varied between 500-1000 fpm. The descent stopped at 1,600 feet pressure altitude (1,582 feet indicated) for about 10 seconds, at 15:36:40. 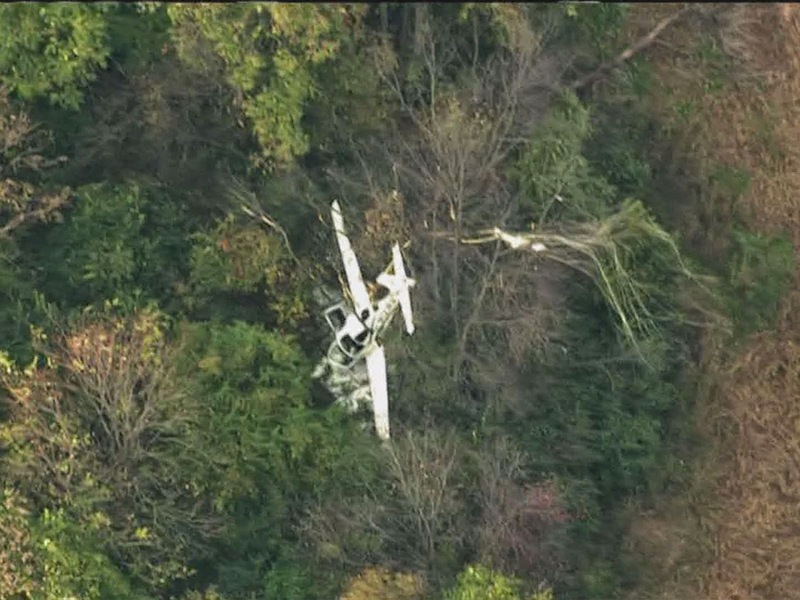 The airplane then continued its descent at an approximate rate of 700 fpm. 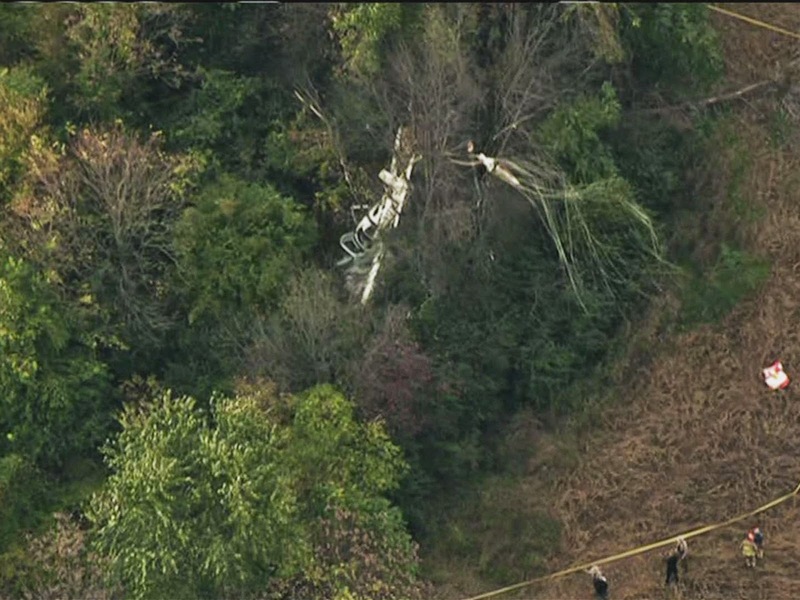 As the descent continued, the airplane entered a right bank of about 15 degrees about 1.5 miles from the airport. While descending and turning right, pitch, vertical, longitudinal, and lateral acceleration experienced a loading event simultaneously at 15:37:36. When this occurred, the aircraft was 0.75 miles from the field at 1,045 feet pressure altitude (1,027 feet indicated) and 100 kts indicated airspeed. Following the loading, the aircraft rolled a full 360 degrees to the right, pitch recorded extremes of 21 degrees nose- up to 80 degrees nose-down, and heading spun nearly 720 degrees to the right. Following the loading, altitude was maintained for about 3 seconds before dropping at a maximum recorded rate of 5,470 fpm. The aircraft came to rest at 15:37:52 at 330 feet pressure altitude in a 75-degrees nose-down attitude with the wings rolled 46 degrees to the left. The recording ended with the aircraft static in these conditions. 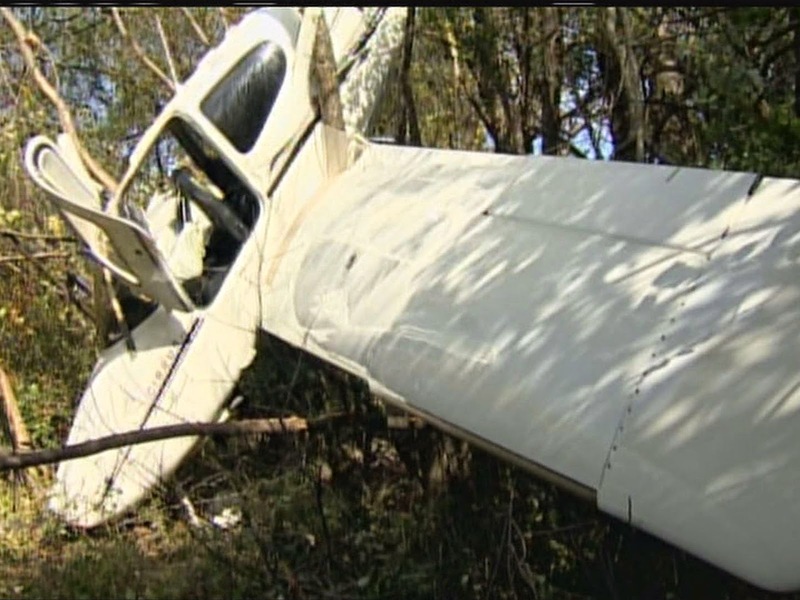 The accident airplane was fitted with an L-3 Avionics SKYWATCH Traffic Advisory System (TAS). As installed, the system included an L-3 Avionics SKY 497 transmitter/receiver unit and an L-3 Communications antenna. The traffic information developed by the SKY 497 system was displayed in the cockpit and provided an audio alert. According to the manufacturer, the SKYWATCH TAS monitored the airspace around the aircraft for other transponder-installed aircraft by querying Mode C or Mode S transponder information. These data would then be displayed visually to the pilot in the cockpit. The system also provided aural announcements on the flight deck audio system. The audio alert would be inhibited at 50 percent and 100 percent flap settings. If an intruder aircraft's transponder did not respond to interrogations, the TAS would not establish a track on that aircraft. The system was not equipped with recording capability. The SKYWATCH system operated on line-of-sight principles. If an intruder aircraft's antenna was shielded from the SKYWATCH system antenna, the ability of the SKY 497 to track the target would be affected. If a SKY 497-equipped aircraft was located directly above an intruder, the airframe of one or both of the aircraft could cause the SKY 497's interrogations to be shielded, depending on antenna location (top-mounted on the accident airplane). The SKY 497 also had the capability to coast (predict) an intruder's track to compensate for a momentary shielding. In an interview with state police immediately after the accident, the pilot explained the operation of the system to the trooper conducting the interview, and stated he did not receive a traffic alert prior to the collision. "Pilots should also be familiar with, and exercise caution, in those operational environments where they may expect to find a high volume of traffic or special types of aircraft operation. These areas include Terminal Radar Service Areas (TRSAs), airport traffic patterns, particularly at airports without a control tower; airport traffic areas (below 3,000 feet above the surface within five statute miles of an airport with an operating control tower…"
There’s an old pilot saying: There are old pilots and there are bold pilots, but there are no old bold pilots. And then there is my father-in-law Bob Knight. I reached Bob last week to ask him if it was all right to write about him on his 80th birthday. He was in Monroe, flying private clients in one of his several airplanes. He may be the oldest commercial pilot to fly private clients solo in the history of the United States, perhaps the world. The Guinness Book of World Records says the oldest commercial pilot is a 92-year-old Japanese pilot who is still towing banners. But he doesn’t fly passengers. My Google search was unable to find an older passenger-carrying commercial pilot than Bob Knight. He is one of a kind. The major airlines recently increased the mandatory retirement age from 60 to 65. But for private planes, there is no mandatory age for a commercial pilot. You just have to pass the rigorous physical test every two years. Bob still has loyal clients he has been flying for decades. Bob’s probably in better physical shape than me. I asked him once how many flying hours he had. He just laughed at me. He has lost count of the number of forced landings he’s walked away from. My wife Ginny grew up in Taylorsville with a grass landing strip in their backyard. They nicknamed the strip “Taylorsville International.” The family of four flew everywhere – to the mountains, to the Bahamas, to New Orleans and back for dinner. When Ginny first met me, she couldn’t believe her luck: She found a man she liked who had zero interest in flying. Then I met Bob. Two years later, I was a pilot. “I knew it was too good to be true,” she moaned later. My father and mother were pilots, but I was a “white-knuckle” passenger, as my father used to say. When my father died, his airplane gathered dust for two years. “Let’s at least go up and take a look at it,” Bob told me one day. Then the Knight magic took hold. The Bob Knight flying stories are legendary in pilot circles. One person told me how he would land on the highway, taxi to a filling station and fill up to avoid paying the avgas tax. Then he would take back off. One flying instructor told me how Jackson International was socked in. Commercial jets were “going around” because they could not land. Then along comes Bob Knight and plops down on the runway, no problem. The controller in the tower met Bob on the runway and gave him the card of an instrument instructor. “Bob, you have got to get your instrument rating,” the controller demanded. It was a different era. He hand flies instrument approaches in minimum conditions that I wouldn’t even consider attempting with my state-of-the-art autopilot. Piece of cake for Bob Knight. Once he came to pick me up at Hawkins Field. A nasty thunderstorm kicked up. I refused to get in the plane. Off he went. One moonless night, his single-engine Bonanza lost power over a dark forest north of Baton Rouge. He managed to land on the tiniest opening imaginable, avoiding a huge oak by several feet. His passenger was uninjured. Bob ended up with some metal along his spine and an inch shorter, but it didn’t slow him down. 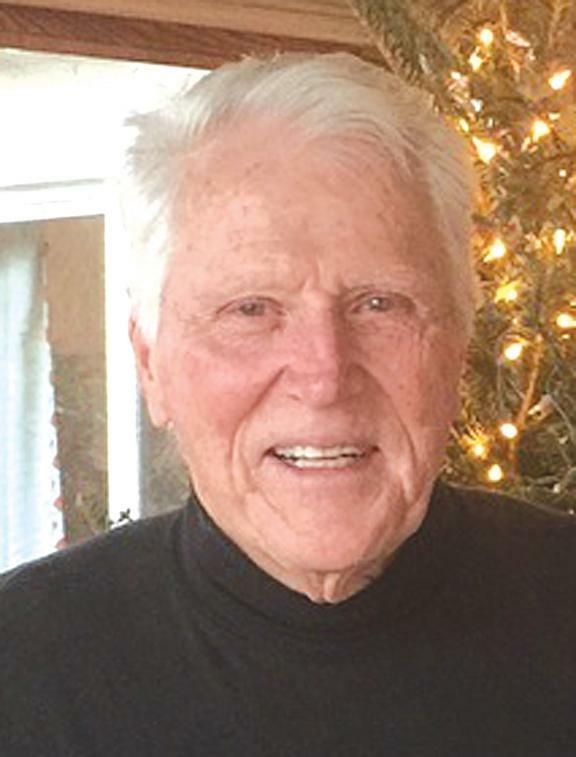 Just a few years ago, he flew his twin-engine Aerostar into Taylorsville International. The next morning the dew was heavy and the grass on the strip was high. We all insisted that he not take off and he agreed. Moments later, he slipped away without us noticing. When I heard the engines crank, I got down on my knees and prayed. Away he flew. Bob reminds me of my maternal grandfather, Bob Buntin, who was a Gulfport judge in his later years. During World War I, Bob Buntin was a test pilot. Out of his group of 20 test pilots, he was the only one to survive. He did so by curling himself into a ball and jumping out of the plane just before it crashed. He did this three times. I shouldn’t even exist. But I do. When I look at the smiling face of Bob Knight – and he is always smiling and laughing – it is though I am looking straight into the face of divine providence. He was meant to be. Bob had his own struggle with addiction and destructive behavior. He paid a price. Then one day, he changed and never looked back. He hasn’t had a drink in more than 40 years. He starts each morning at AA. Bob Knight is a living breathing example of God’s promise of providence and personal redemption. He got there by God’s grace through the crucible of the human struggle. And he knows it. “I am just happy to be alive and living each day in humble gratitude,” he tells me every time I call. After an improbable life of unbelievable chance and adventure, peppered with his share of struggles, God brought “Knight Train” to the place we all need to be. Can you ask for anything more? A Mount Joy businessman has applied to the state Department of Transportation for permission to build an airstrip in Rapho Township. David Reist wants to install a 1,400-foot long, 74-foot wide turf airstrip on his farm at 598 Longenecker Road, according to his application. PennDOT has scheduled a public hearing on the application at 10 a.m. Friday at the Mount Joy Borough Office, 21 E. Main St., according to a public notice. Donegal Springs Airport at 186 Airport Road, East Donegal Township, is 4 miles west of Reist’s proposed Walnut Grove Airport, the application states. John Melville, aviation safety and licensing supervisor for the state Bureau of Aviation, said his primary concern is making sure there’s adequate space to take off and land. The bureau checks if the airstrip is suitable for aircraft by driving down the strip in a car at 50 mph, Melville said. And, he said, they’ll check with the Federal Aviation Administration to be sure there’s no conflict with restricted airspace. Melville said the bureau also ensures that “fair consideration has been given to the interest of the community,” although he said objections to the land-use proposal should be directed to the township. Rapho Township manager Sara Gibson said the township “defers authority” to PennDOT and the FAA in cases such as this. According to the FAA, there are 10 public and private-use airfields in Lancaster County, including the Lancaster and Smoketown airports. The application indicates a Citabria 7GCAA aircraft — a single-engine, two-seat airplane built by Bellanca — will be based there. “There are no major showstoppers here that I can see where we would say it’s not doable,” Melville said. Melville said he’ll inspect the site Friday, although it appears to meet standards requiring the strip be at least 200 feet from the property line and 300 feet from a public road. The alignment of the strip, he added, should avoid homes or farm structures in the vicinity. Reist, who owns Reist Popcorn Co. in Mount Joy, did not return several phone calls requesting comment on his application. The application notes that Henry Reist, David’s father, held a license for Walnut Grove Airport at the same site from 1977 to 1998. His biography on the company website cites “flying his airplane” as a favorite pastime. Melville said Reist will be “expected, but not necessarily required” to monitor the radio frequency at Donegal Springs so he can keep tabs on other craft in the air. And, like all other local aircraft — including traffic from other small airports and medical helicopters — he will be expected to communicate with the tower at Lancaster Airport, Melville said. Aviation memorabilia adorns the tables of the Sky Cafe at Sky Manor Airport. Spend enough time at New Jersey's local airports and you'll begin to notice the nearby birds. Hawks and vultures seem attuned to their mechanical counterparts: Cessnas and Pipers, gliders and biplanes. They swoop and dive along the airport perimeters, displaying their natural grace. 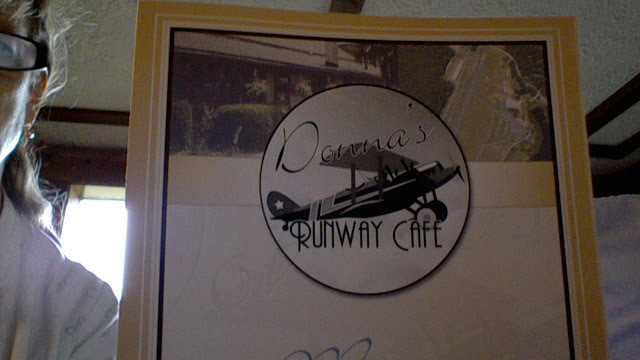 However, there is another charming aspect to these general aviation facilities dotted across the the state: runway restaurants. Attracting pilots, locals and the aviation-obsessed, they're a place to get away -- if only in spirit. Many are steeped in World War II and flight lore. Each serves classic comforts, often at vintage prices. Best of all, they offer a peek at aviation life over a tasty meal. Have a pilot friend? Hitch a ride and join the "$100 hamburger fliers," slang for the fuel cost added to an otherwise inexpensive meal. Or follow the lead of plane spotters. (They're the ones furiously tapping numbers and letters into phones.) With just the ID on a plane's side, its make, model and journey can be revealed. Following is a flyby look at runway restaurants across the state and what other activities are in the area, should you choose to visit. Snag a seat at this lively spot and then listen in. One of the regulars goes by Pop Pop. The waitress is his granddaughter. It's that kind of place. Sean and Christine McMullan took over in 2010, keeping the original team intact. As they chat up customers, model airplanes hang overhead and huge portions are served. A Jersey Fresh menu features options such as the "H-Bomb Panini," roasted beef with sauteed onions, provolone and horseradish mayonnaise. Drinks come from the "refueling station." Sean McMullan worked as a barkeep, waiter and cook in Northern Ireland before moving to the United States. "One does that there," he says. "You wear many hats." True to form, McMullan is also GM of the historic Anglesea Pub. Here, you'll find banter, descending Lear jets and murals evoking the building's former life as the airport terminal. Police, military and aviation patches fill the walls, a point of pride. Husband-and-wife team Bill and Donna Juhas, former oncology nurses, are third in a line that has owned the diner for 20-odd years. Now, they're just caring for people in a different way. In the 1950s, this was a pilot's lounge, with showers in the back to prove it. 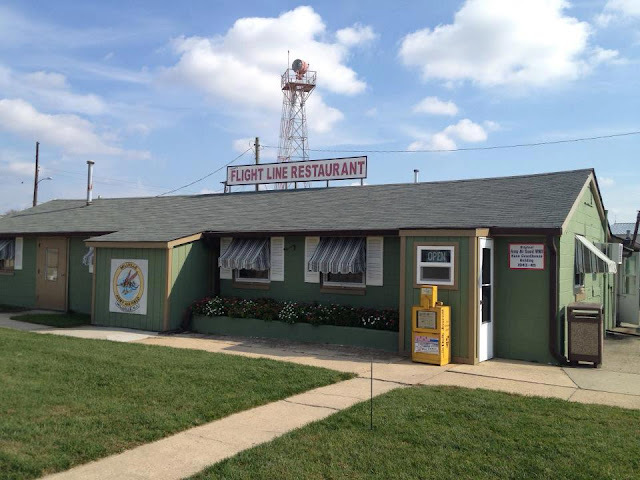 Locals, golfers and pilots glide in to feast on chipped beef and chili (hold the Wiz). Claim a mustard-yellow booth on the far side for runway sightlines. 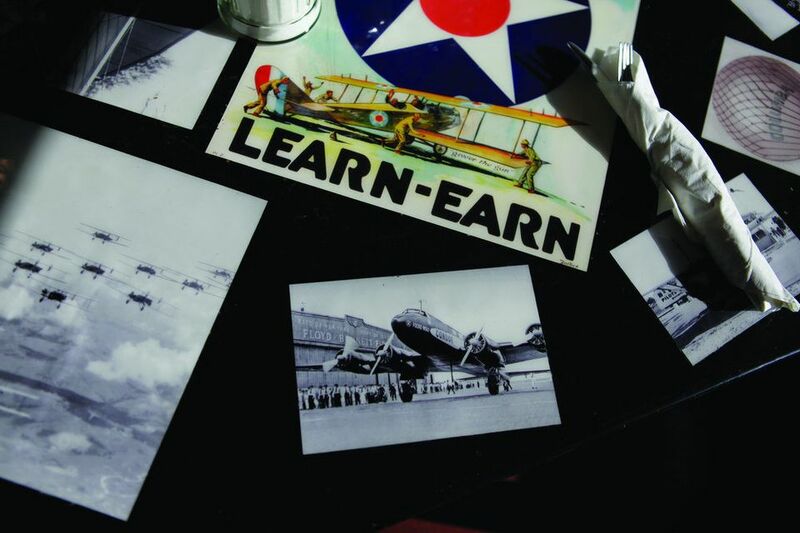 Situated in a WWII guardhouse, Verna's is packed with aviation memorabilia, much of it donated by customers. Generations come to pay homage, filling the space with chatter. The museum quality is fitting. Millville was "America's First Defense Airport" in '41, and more than 1,500 P-40 Warhawk and P-47 Thunderbolt pilots trained here. When Verna Herman took over the restaurant, after working 10 years for the prior owner, she left much of that history intact. With close to 28 years under her belt, she greets most customers by name. "Some have been here since my first day," she says. "Hon" is another common refrain. Need a pancake the size of your plate? (The answer, clearly, is yes.) Specials such as sausage gravy also draw raves, but really, it's about Herman's warm welcome. She even donates a canteen lunch for hundreds of veterans during the annual Appreciation Day at the museum next door. "I've never done an event for any group so appreciative," she says. "They make you smile the whole time." Ditto a visit to her sweet restaurant. Flipping through the guestbook, a few things become apparent. Home fries are the thing to order (fried crisp), people love the strong coffee and folks have been coming here for ages. No wonder. This rustic, homespun dinette is a cheerful place to land. Take this note from Capt. Janis K. Blackburn, a pioneering female pilot: "I was a student pilot here in the '60s and enjoyed the cafe. 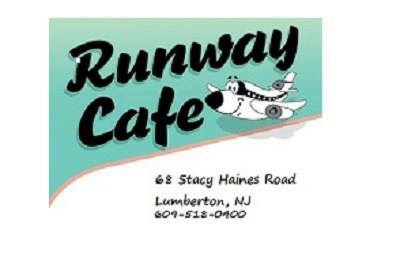 Today, I'm a retired airline pilot being inducted into the N.J. Aviation Hall of Fame in September 2015 and I still enjoy your cafe." Blackburn was the first woman in the United States to crew an A300. Since Vinci Lunt took things over at the Runway nearly 18 years ago, she's worked to attract locals, and there's a strong after-church crowd. "I absolutely love it here," Lunt says. During rare slow moments, she gazes out and wonders who is making their way down the tarmac. Often enough, she gets to find out. Under-caffeinated? Head one driveway past the main airport entrance to this aviator-chic coffee bar, brainchild of pilot Michael Sciarra. One part flight school, one part coffee shop, it's a unique place to sip a hot drink while observing the culture of flight. Flight-themed art fills the walls and beans-to-go are micro-roasted to order, a testament to pilots' affinity for an expert cup. Sciarra's ultimate goal is to bridge the gap and inspire the next generation of fliers. While the horses are gone, vintage planes often entice. These are best spied from Patti Dole's fun cafe, where fliers and aviation geeks converge. You can tell a thing or two about the place by the signs outside: "Did you lock your airplane?" "Did you close your flight plan?" As omelets hit tables, people leap from their seats. "She's a beauty," exclaims one gentleman, eying a '67 Piper PA-30. A kid leaves his plane-shaped pancakes to do the same. The crowd is equally intriguing. Retirees from Eastern Air Lines, the original incarnation of which shuttered in 1991, swing by for breakfast twice weekly. Philly's CBS Chopper 3 cameraman Al Nugent -- "no relation to Ted" -- calls Patti's his second home. Each year, he says, a group of Irish pilot friends from Ryanair glide in en route to AirVenture in Wisconsin, "the world's largest gathering of aviation enthusiasts." Digging into French toast or floating in that plane-shaped pool, you never know who'll land next. Hidden amid Hunterdon County's curving farmland is the home of the Bi-Plane -- aka the perfect spinach-and-provolone omelet. Maybe it's the local eggs, or the savvy in Rosella Caloiero's kitchen. Either way, it's a wonder, evoking the soft clouds on display through wide windows in this quaint, but buzzy space. If you can, sit overlooking a restored 1924 beacon light. It commemorates the first illuminated airmail routes, when lamps from New York to San Francisco helped the mail on its way. 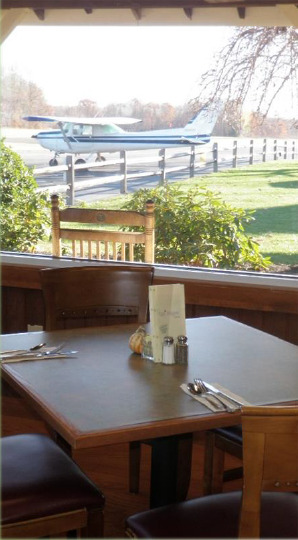 Views are spectacular and diners flock from the skies and area farms. You're as likely to see jeans and suspenders as clean cuts and aviator glasses. After eating, claim a bench and watch the helicopters and aircraft circle this 1940s airfield. Then, walk a winding path to Beneduce Vineyards and toast the wonder of flight. In the early 1930s, this was a carrot and celery farm. When folks caught aviation fever in the wake of Lindbergh's solo Atlantic flight in 1927, plans for the Lincoln Park Airport took shape. Today, you're most likely to find celery alongside buffalo wings. If you want to party with the pilots (and locals), this is your place. "We attract everybody," says assistant manager Jayne Garcia. She recommends the DeRosa burger, topped with mozzarella, bruschetta and pesto, which is named for the airport's owner, Pete DeRosa. Craft beer is also a draw. Outdoor seating gets competitive, and with good reason -- air traffic and those namesake sunsets, to name two. "So, I was cruising at 100 knots ..."
Times may be a-changing, but you wouldn't know it here. When Donna Nodzak took over in 2014, after waitressing here for 17 years, customers begged her not to change anything, right down to the green pleather booths. We have that effort to thank for the vibe: one part old-school diner, one part pilot snack bar -- which it was, back in the day. Upon entry, a painted runway guides you to your seat. When pilots offer to take her up, Nodzak jokes: "This is my runway right here." On the menu, a turkey club sings with Jersey tomatoes. Order that or some homemade soup, and then "fasten your seatbelt and sit back," as Nodzak says. From the banter to the plate, this is a fun ride. NOTE: Check airport websites for information on annual air shows.